Bekins and our agent network continue to be recognized among the top interstate movers for our expert service and attention to detail. And we believe that our partner endorsements reflect our commitment to being a reputable moving company. We’re always looking to form new partnerships. If you have any questions about a potential new partnership, please contact us. As the leading membership organization for Senior Move Managers, NASMM is recognized nationwide for its innovate programs and expertise related to senior move management. At Bekins, we work hard to take into account the issues affecting older adults as they move, which is why we’re proud to be a Premier Industry Partner with NASMM. We regularly attend their tradeshows to stay informed about the latest moving trends affecting seniors, and place great value on their partnership. In 2009 the American Moving & Storage Association (AMSA) launched a new consumer protection and certification program called ProMover. The ProMover program is designed to identify “rogue movers,” giving customers a clear indicator of which companies are reputable, professional interstate movers. To qualify as a ProMover, movers must pass a rigorous review of professional business standards. In addition, each mover must execute a signatory agreement affirming that they agree to uphold AMSA’s Code of Ethics and bylaws. This allows them to display the AMSA and ProMover logos—something that Bekins has been doing proudly for years. Loyalty360 is the unbiased, objective, and market-driven association for customer loyalty, which seeks to enable and encourage dialogue among industry leaders. Bekins has been involved with Loyalty360 since 2014 and a member since 2016 further solidifying our company’s mission of putting the customer first. 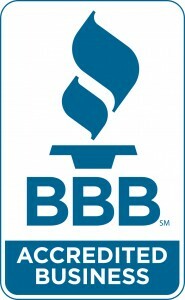 Bekins Van Lines has been a BBB Accredited Business since November 2012.